The Fairfax Arms, Ampleforth, Yorkshire is a small hotel and restaurant with three holiday cottages adjacent to the main hotel that are let to holidaymakers throughout the year. The cottages had been served by a single floor-standing boiler which wasn’t capable of properly heating each cottage to deliver the comfort levels paying guests expected, nor could it provide sufficient hot water on demand. 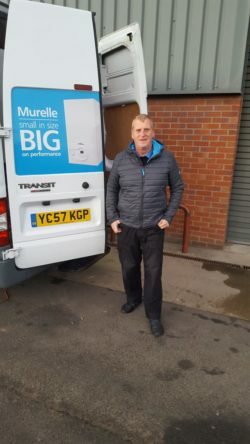 Tony Creaser, an independent Gas Safe-registered contractor, recommended three Sime Murelle Advanced boilers, which are more compact and would take up minimum space, a vital element of the brief for improving the heating and hot water in each of the three holiday cottages. Tony has been working with Sime boilers for years. He employs three other installers and they are known locally for their good value, fair dealing, professional service, and reliable outcome. The Fairfax Arms Hotel provides high-quality food, service and rooms and the cottages now represent the same exceptional value for money and comfort that the rest of the business provides. With the Murelle Advanced boilers in place, guests are warm and cosy and can take hot showers whenever they like without fear of the water suddenly running cold.